Perfect for smaller groups, Hidden Beach Paradise is the best kept secret on 30-A. 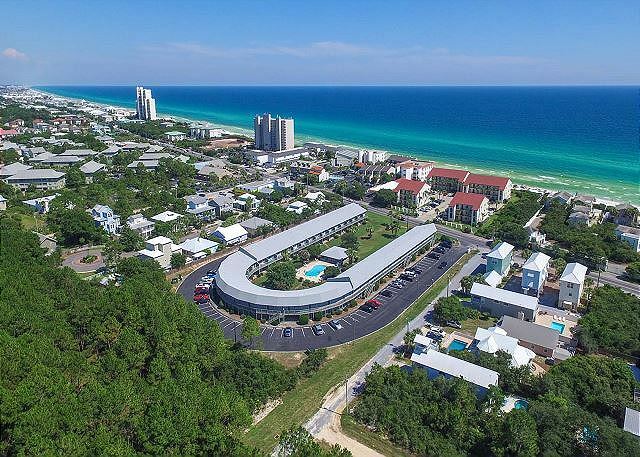 Enjoy the luxury of being only a two minute walk to the beach without paying gulf-front prices. 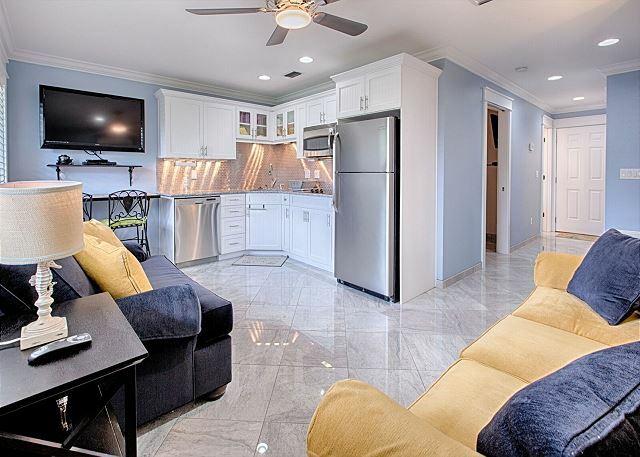 This cozy first floor condominium features a recently remodeled kitchen, complete with a beautiful tile back splash and granite counter tops. 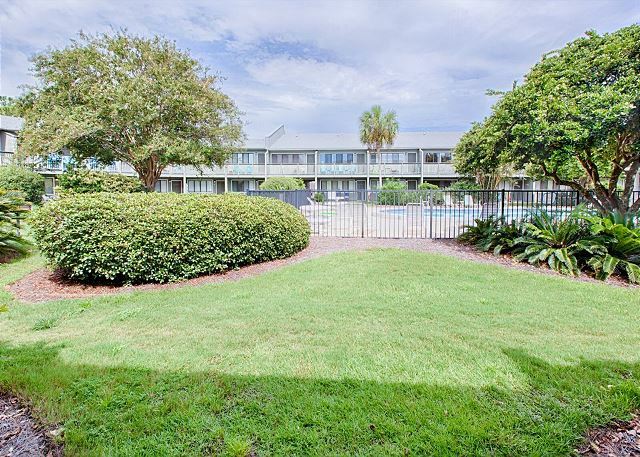 Take advantage of the free WiFi and other great amenities this place has to offer. 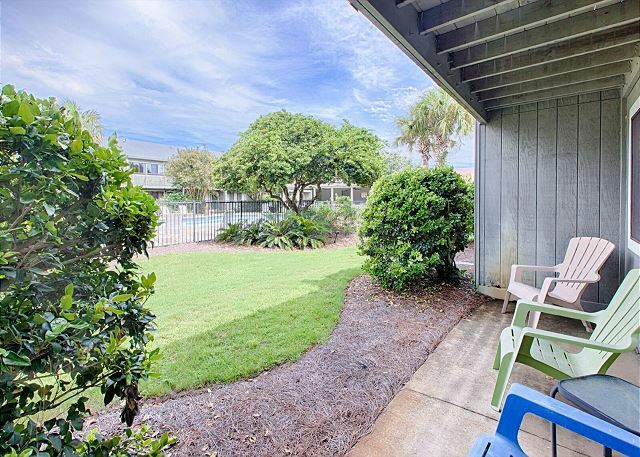 Featuring an awesome community pool, a courtyard with a porch, as well as laundry facilities and guest parking just outside the door, Hidden Beach Paradise is sure to make your stay as convenient as possible! You're also located in a 15-20 minute radius of a plethora of shopping and dining destinations! 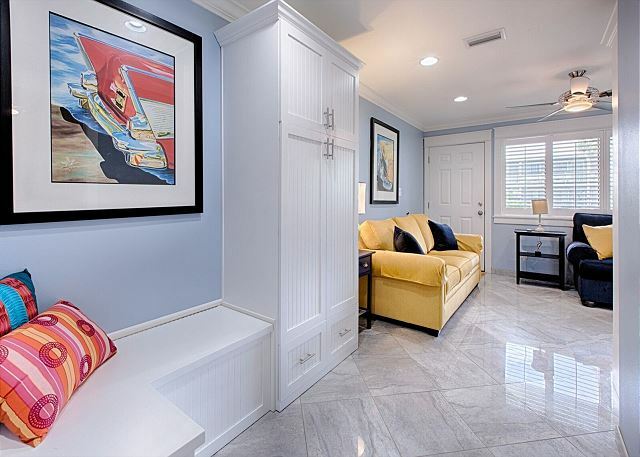 The condo features a queen sleeper sofa in the living room as well as a flat screen TV. There is also a twin sleeper to accommodate for an additional guest! 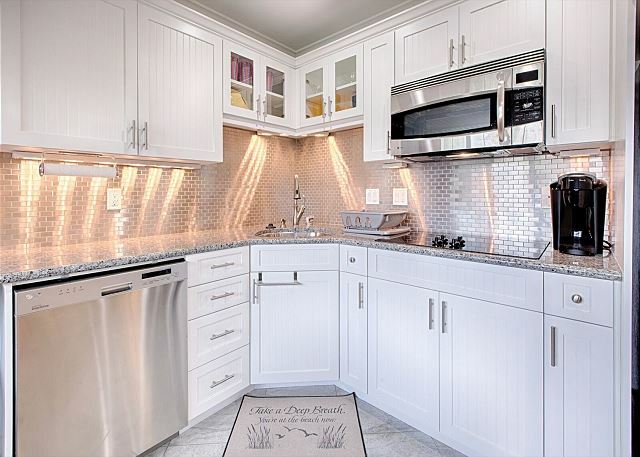 Stainless steel appliances are a good contrast to the white cabinets. 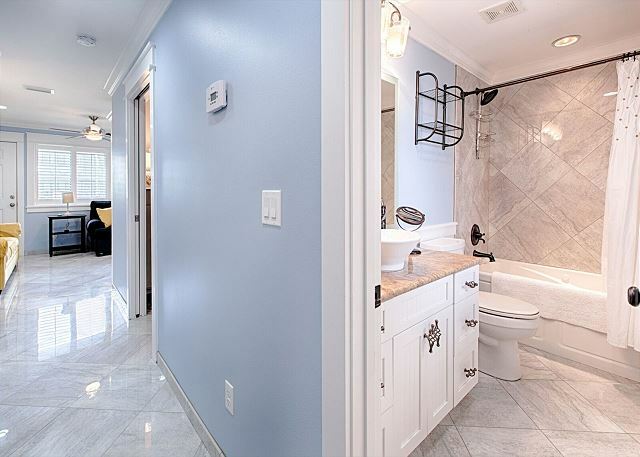 The bathroom is beautifully tiled with a basin sink. 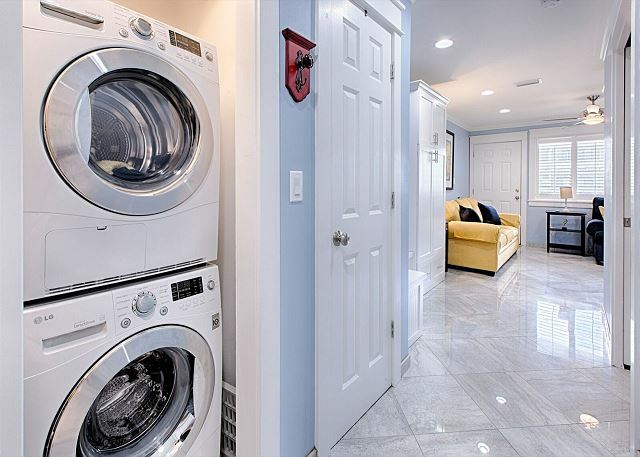 There is also a stacked washer and dryer combo for your convenience. The color scheme and open floor plan make this place feel cozy and inviting. 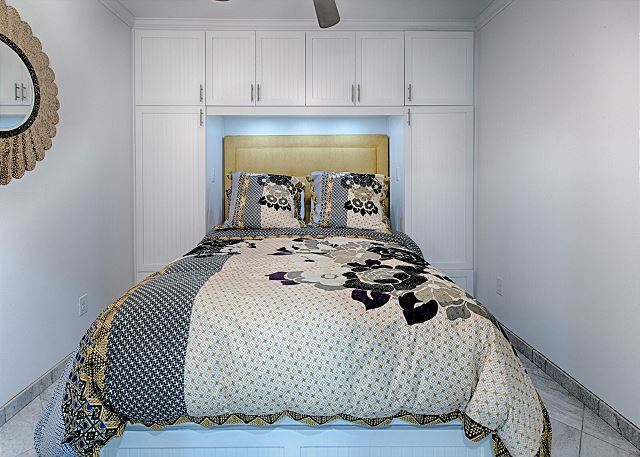 The Master bedroom features a Queen Sized bed and wall-mounted flat screen. Come check out Hidden Beach Paradise, we'd be happy to have you!